Legacy Recordings, the catalog division of Sony Music Entertainment, issued BANG! The Bert Berns Story Official Soundtrack for the first time on vinyl as a two LP set on December 8, 2018. 18 selections offer an insight into the stellar musical catalog of Bert Berns (November 8, 1929-December 30, 1967) who was notable for having been a hit songwriter, wildly successful record producer and label chief whose work juxtaposed him not with only R&B greats but also pop artists, British Invasion acts and American rockers. 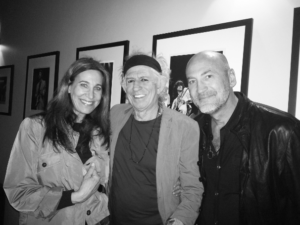 Berns was inducted as a non-performer and received the Ahmet Ertegun Lifetime Achievement Award in 2016 to the Rock and Roll Hall of Fame. The LP includes “Piece of My Heart,” Erma Franklin, “Tell Him,” The Exciters, “Twist and Shout,” The Isley Brothers, “Cry Baby,” Garnet Mimms & The Enchanters, “Everybody Needs Somebody to Love,” Solomon Burke, “Here Comes The Night,” Them, “Are You Lonely For Me Baby,” Freddie Scott, “Cry To Me,” Freddie Scott, “Brown Eyed Girl,” Van Morrison, “Am I Grooving You,” Freddie Scott, and “Piece of My Heart,” Big Brother & The Holding Company – a cover of the Erma Franklin song featuring Janis Joplin’s lead vocal. 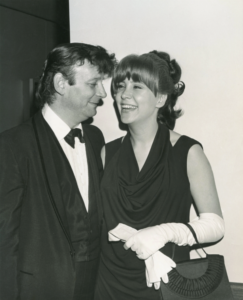 The saga of Bert Berns is told in BANG! The Bert Berns Story documentary film that was launched worldwide on Apple Music and iTunes in 2017 where it immediately became the #1 documentary on the platform. The film which played the film festival circuit and was theatrically released earlier in 2017 has garnered critical kudos which takes into account its subject’s enduring musical legacy. BANG! 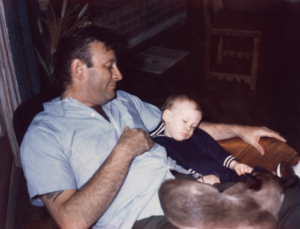 The Bert Berns Story debuted in spring 2017 at SXSW and screened at numerous festivals including Boston Film Festival, where it won the Best Music Award, as well as Chicago’s CIMMFest (Best Soundtrack), Seattle International, Athens International, UK’s Doc ‘N Roll, Vancouver International Film Festival, Buffalo Film Festival, Mill Valley Film Festival and others. And now BANG! 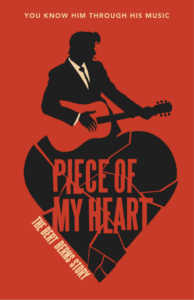 The Bert Berns Story is finally available on DVD. The expanded retail item features an hour of outtake bonus footage incorporating Paul McCartney, Keith Richards, Andrew Loog Oldham, Ronald Isley, Ben E. King, Solomon Burke, Brenda Reid, Betty Harris, Mike Stollar, Charlie Thomas, The Strangeloves, Carmine “Wassel” DeNoia, Doug Morris, Brooks Arthur, Cassandra Berns, Don Drowty, Garry Sherman and Joel Dorn. 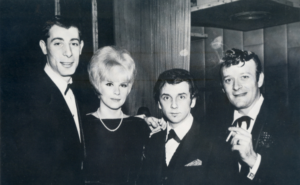 Bert Berns, unlike his music business contemporaries, was equally at home producing American soul artists in New York as he was working in London during the height of the British Invasion where his songs were covered by the Beatles, Rolling Stones, Animals and Them. THE SUDDEN DEATH OF BERT BERNS ON December 30, 1967 of a heart attack is the final scene in my book 1967 A Complete Rock Music History of the Summer of Love. 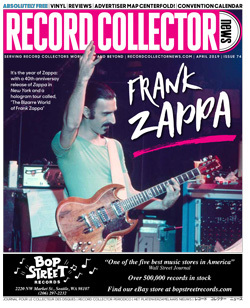 “One of the side benefits of America opening its doors to our version of their music was we got to meet our heroes and villains,” volunteered record producer, author, and deejay, Andrew Loog Oldham in the same pages. “Bert Berns was a hero.” Oldham formerly managed the Rolling Stones while producing their studio recordings during 1963-1967. One LP on the Bang label made a big impact on Staff Sergeant Roger Steffens in Vietnam, who had been shipped off to military service in November 1968. “Michael Herr’s Dispatches understood better than anyone that it was a rock ‘n’ roll war,” Steffens explained in 1967 A Complete Rock Music History of the Summer of Love. “I MADE BANG! 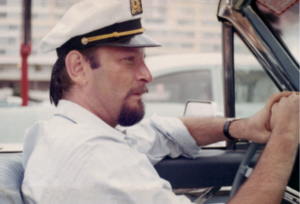 THE BERT BERNS STORY BEcause this extraordinary untold story needed to be told by the people who worked alongside my father as he created his vast and unique body work,” said director Brett Berns, a graduate of the University of Virginia and veteran of the Israel Defense Forces Paratrooper Brigade. virtually disappear from the history of rock and roll. It thus became my life’s ambition to champion my father. “I was only two years old when my dad died in 1967. Knowing that his rheumatic heart would take his life, he would tell my mother, ‘my children will know me through my music.’ In tandem with my sister Cassandra, I set out to learn the meaning of this riddle and what we discovered was a revelation so great that it called for historical revision. For buried beneath the sands of time was a unique canon of music and a story greater than fiction. “My greatest personal realization was that only through the telling of his dramatic life story would my father be recognized for his part in our musical history. He had been so utterly forgotten that only a multi-media barrage would make people take notice of this lost icon,” reinforced Brett. “I began interviewing subjects for the film nearly a decade ago. Being a first time filmmaker, I partnered with seasoned veterans and spared no expense on production. I personally conducted every interview and learned the fundamentals of editing. One door opened the next, and the greatest legends of rock and roll fell into the project along with a number of characters never before seen on film. “It wasn’t until world class editor and director Bob Sarles joined the project that the film truly took flight. A brilliant documentary filmmaker, Sarles reshaped the film, brought his best people on board to conduct B roll and re-creation shoots, orchestrated animations and graphics, and used Joel Selvin’s biography as the bedrock for the film’s narration. Musician, actor and deejay Stevie Van Zandt’s narration brings the voice of Bert Berns into the film. FILMMAKER BOB SARLES, CO-director and editor of the film has his movies on permanent display at the Rock and Roll Hall of Fame in Cleveland, Ohio, Experience Music Project in Seattle Washington, and the Stax Museum of American Soul Music in Memphis, Tennessee. In 2017 I spoke with Sarles about the acclaimed documentary. Q: Talk to me about editing. How do you weave the narrative tales with the music? A: I have directed and produced a ton of music related film and television content, but I also edit all of my own films, and continue to edit projects for others. It is the filmmaking craft that I have the most experience at, so I always look at a project from the editing standpoint. I have learned from decades of editing documentaries and television shows how to construct a compelling story out of the materials I have at my disposal. In this case, and in much of the music related films I’ve made, the most important element in telling the story is the music of the era. The initial cut Brett was working on usually started with a song, but because Brett lacked the experience of an established editor, he would often let the song play until it ended or the story he was telling was completed. Sometimes I cut songs sometimes to use a lyrical hook, whereas other times I used a musical break to score an emotional scene. Everything was done in service of the story we were trying to tell. I look at the music first as score and try and edit with the music to maximize its emotional impact on the story. Clearly, if you are telling the story of the recording of ‘Twist & Shout’ you are going to use the appropriate version of that song in that part of the film. Brett, with his great knowledge of his father’s output, was incredibly helpful in suggesting the lesser known songs in the Bert Berns cannon for emotional hooks, even if that song may have been produced at another part of the timeline. Fortunately, we had a very deep well of amazing music to draw from. In the few instances where we needed original music created for the film I turned to my old friend Barry Goldberg, the great organist from Electric Flag (currently in band The Rides with Stephen Stills and Kenny Wayne Shepard) who has scored a lot of film and television, to compose and produce those interstitial music cues which integrated seamlessly with the needle-drop Bert Berns music cues that made up the majority of the film’s soundtrack. Q: What is the challenge of telling a story about someone who left the planet 50 years ago but the catalog continues to be utilized and heard? 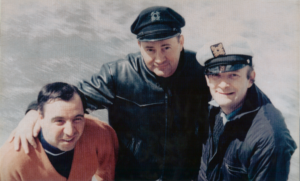 A: The single biggest challenge we had, and one that is rarely noted, is the fact that we did not have a single frame of film or video footage of Bert Berns himself. Any home movies of Bert were lost over the years. That was a tremendous handicap. But, by utilizing photos we had of Bert and augmenting them with other archival footage, we were able to disguise that fact. That the Berns kids controlled a good portion of the publishing made using Bert’s music easier. Neil Diamond’s decision to not participate in the film meant we had to work around not having his catalogue available to us. In the end that wasn’t nearly the problem we originally thought it might be, as the film is the Bert Berns story, not the Neil Diamond story. The easy part is that many of the songs used in the film’s soundtrack are recognizable, and trigger an automatic emotional response in the audience. This is why these songs are still around. So many of them remain timeless. Q: When you first began the venture, to now viewing the finished product, what were your initial impressions about Bert Berns and what did he become to you after you completed the portrait? During May 2018 I asked Brett Berns about the vinyl soundtrack of the documentary and the just released retail DVD product. 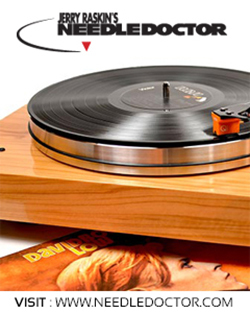 Q: Tell me about assembling the vinyl soundtrack to your documentary. I know there have been numerous collections of Bert’s tunes, masters and for music publishing usage, but how did you and your sister Cassandra choose these specific recordings for the soundtrack? A: Record industry legend (and BANG! star) Doug Morris produced the very first compilation of my father’s work in 2002, The Heart and Soul of Bert Berns. ACE Records in the UK followed with three complete volumes of The Bert Berns Story. The BANG! soundtrack on double vinyl is a trophy for the film and all who took part in making it happen. Sony Legacy, who controls my father’s Bang and Shout record labels, did a masterful job with the gatefold package. One of the film’s principal producers, Michael Borofsky, produced the soundtrack. We came up with the track list together, aspiring to represent both the documentary and the larger body of work. The combination of classics and rare gems is an ideal counterpoint to the movie. A: Bert Berns was one of the greatest record men of the twentieth century, but also the most obscure. Time and politics had buried his name. Thus the primary goal of the film was to raise awareness of the legacy and propel my father’s induction into the Rock and Roll Hall of Fame. My dad fathered three children during the last three years of his life, knowing he would not live to see us grow up. “My children will know me through my music” was his mantra. And through a long journey of discovery, my siblings and I made his dream come true. 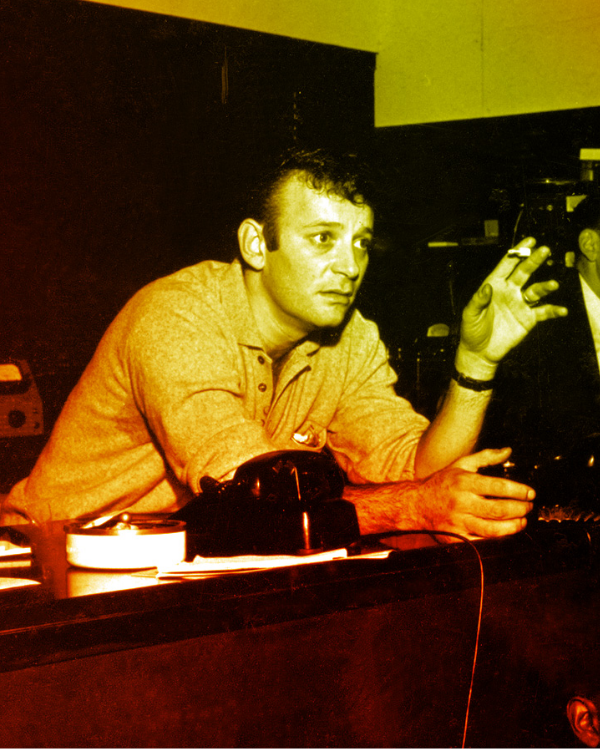 The film is a pillar of this effort, along with Joel Selvin’s epic biography Here Comes The Night: The Dark Soul of Bert Berns and the Dirty Business of Rhythm & Blues and the Broadway bound musical Piece of My Heart: The Bert Berns Story. Q: And now after countless viewings at museums and movie theaters, along with critical acclaim, and the DVD is being released, what new emotions and feelings emerged about your father and his influential catalog? A: I was struck by the reaction to the movie from audiences in the theater. With 50 international film festival screenings and a U.S. theatrical release, the film made a deep impact on audiences as they laughed and cried together in the cinema. I think people fall in love with Bert Berns, and with his music and his story. The love for my dad expressed by my father’s colleagues on screen is infectious. For me personally, I’ve become closer to the father I never knew. His daring example has inspired me at every turn. Q: Tell me about the bonus features. Did you always know that there was at least an extra hour of footage that could be incorporated into a DVD? Does the bonus footage add or further expand the saga? Or viewed as extra glimpses from them? The interview outtakes both expand on the story and provide additional revelations. Keith Richards riffs on ‘the sensitivity and the toughness’ of the songs. Ronald Isley and Paul McCartney tell the complete ‘Twist and Shout’ story. And the 10 minutes of my father’s well-connected friend Carmine “Wassel” DeNoia is a short film in and of itself. Q: How ‘bout a few behind the music reflections about the shoots of Keith Richards, Andrew Loog Oldham, Paul McCartney, Van Morrison, Cissy Houston, Brooks Arthur and Ronald Isley. They all seemed very receptive in general to talking about Bert’s music and the impact on their repertoires. Van Morrison seemed to embrace Bert’s short role in his musical career after somewhat distancing himself for many decades. A: I was admittedly terrified at having to sit opposite so many towering giants during the interviews, but the affection shown by my father’s colleagues made it a joy each and every time. My dad’s engineer Brooks Arthur was among the first to be interviewed and joined me as a producer. Solomon Burke asked for a king’s throne in his rider and delivered a sermon. Brenda Reid cried tears of joy throughout her interview. Cissy Houston reminisced about Bert and his collaborative spirit — she wrote (uncredited) many of the background vocal arrangements on those records. Paul McCartney invited us into his home, shook everyone’s hand on the set, and was so prepared that he basically interviewed himself. Andrew Loog Oldham gave a passionate no holds barred interview and helped bring Van Morrison and Keith Richards into the project. We went to Belfast to interview Van, who was gracious and welcoming. Keith Richards was the very last interview. I’ll never be able to properly express my gratitude to the stars of BANG! The Bert Berns Story. Q: Has the movie and the soundtrack succeeded beyond your wildest expectations and brought attention to the music and life of Bert Berns? We also discover your colorful mother Ilene. A: The film has truly exceeded my every ambition. BANG! was the best reviewed documentary of the year. It inspired the Sony Legacy soundtrack. And it got my father into the Rock and Roll Hall of Fame. My mother — who was the most difficult interview to secure — is also immortalized in the film and was able to see it on the big screen before her death last year. With DVD and international broadcast release this year, we look forward to sharing the movie with the widest possible audience. Q: What were some of the key things you can say about collaborating with director Bob Sarles? A: Bob Sarles and his wife Christina Keating are brilliant documentary filmmakers — a team that brings two lifetimes of experience to a project. I had been conducting interviews for close to a decade, learned the basics of editing, and had a (very) rough cut of the film. It was Berns historian Joel Selvin who introduced me to Bob, who would spend a year reshaping the material into a movie. Bob is a storyteller who taught me narrative structure. It was Bob’s idea to include narration, and he used text straight out of Joel’s book for the script, read fittingly and artfully by Stevie Van Zandt. We worked closely together, but I knew that – like my father did with his artists — I should give Bob a free hand. For me it was a master class in filmmaking. Bob’s contribution proved so transformative that he earned a co-director credit. 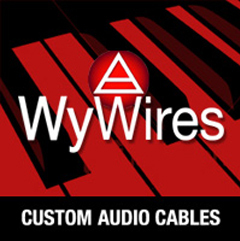 Q: Do you like the world of music documentaries after doing one? Do we need them for the real story? What advice would you give to producers and directors and estates involved in the undertaking? A: It’s been said that we are living in the golden age of music documentaries. Music docs have taken the Oscar three times in the last six years. Standing In The Shadows of Motown inspired me to make this film — I had even originally envisioned filming performances of the songs. But we had too much story to tell, and let the original masters serve as the score. My advice to filmmakers is to let the truth guide you and leave the rough edges; be selective and don’t try to tell the whole story; be true to your vision and don’t take notes until you’re finished; exercise patience and perseverance; and remember the difficult work begins when the film is finished. Find a great publicist (like Bob Merlis), promoter (like Elliot Kendall), sales agent (like Cargo Film) and benefactor. Funding these projects is extremely difficult. We were fortunate to have Bert Berns as our angel investor, and still had to beg and borrow our way to the finish line. Film festivals are critical to building buzz and proved key to our success with BANG. And if the stars align, you’ll distribute your film with Abramorama — leaders in independent documentary distribution. Harvey Kubernik is the author of 14 books. His debut literary music anthology Inside Cave Hollywood: The Harvey Kubernik Music InnerViews and InterViews Collection, Vol. 1 was published in December 2017, by Cave Hollywood. Kubernik’s The Doors Summer’s Gone was published by Other World Cottage Industries in February 2018.